“Now in our fourth year of this partnership, we look forward to continuing our support of this exemplary organization and its members, who work tirelessly to advocate for those who have suffered injury or injustice” says LexCloud.ca President Karim Jinnah. 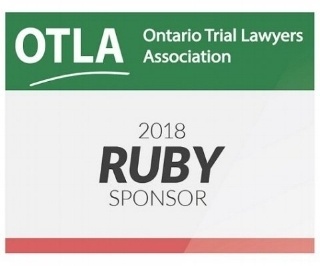 For more than 20 years LexCloud.ca has brought the benefits of technology to Ontario law firms, including many OTLA member firms. “This is a particularly dedicated group of lawyers and legal professionals - we are proud to serve the OTLA community” says Jinnah. Hear what personal injury firms have to say about LexCloud.ca – view our latest client stories, featuring Howie, Sacks & Henry LLP, Stevenson Whelton MacDonald & Swan, KM Personal Injury Law and more. The LexCloud.ca Team will be attending OTLA’s 2018 Spring Conference on Friday, May 25. Stop by our booth to say hello, or contact us at simplify@lexcloud.ca 416-535-2516.